and the world around me! 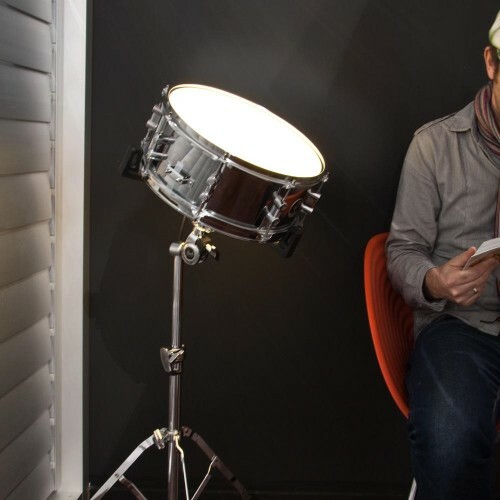 The Sound Activated Drum Light is almost like a cross between an old spotlight and a snare drum. You bang on the drum to turn it on and bang it again to turn it off. Designed by New Zealand based design collective 326, this customized chrome plated steel drum has an internal LED lighting strip to provide the light. It has sensitivity control to prevent other sounds from activating the light. Looks good as long as you don’t live in a household full of drums (unless you like that strobe effect). Each one is custom made and costs $850.